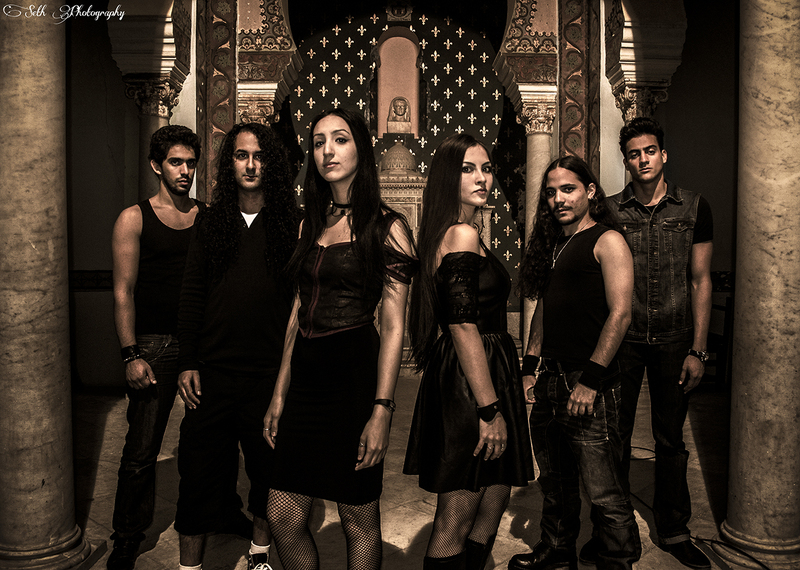 Persona is a female-fronted alternative metal band from Tunisia. Their style unites modern metal sound with elements of rock, thrash and heavy riffs with synth effects and classical orchestration. 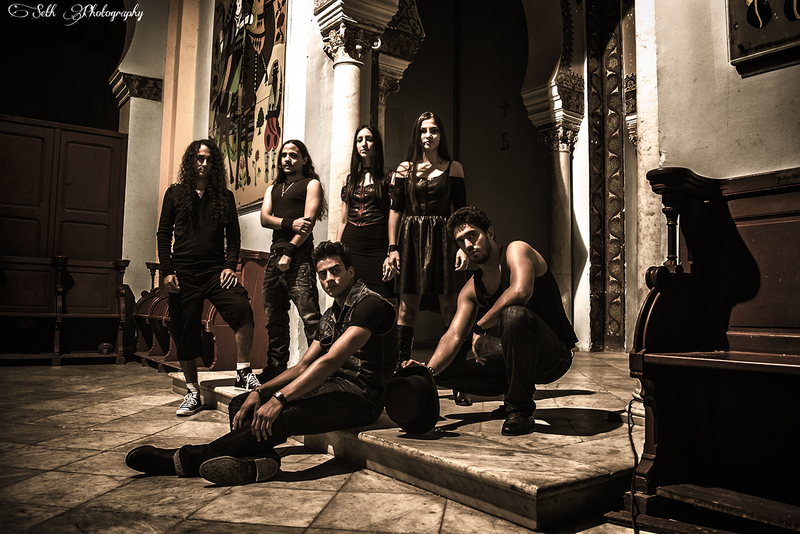 Being considered one of the most accomplished bands on the Tunisian metal scene, Persona is now ready to take it to the international level. 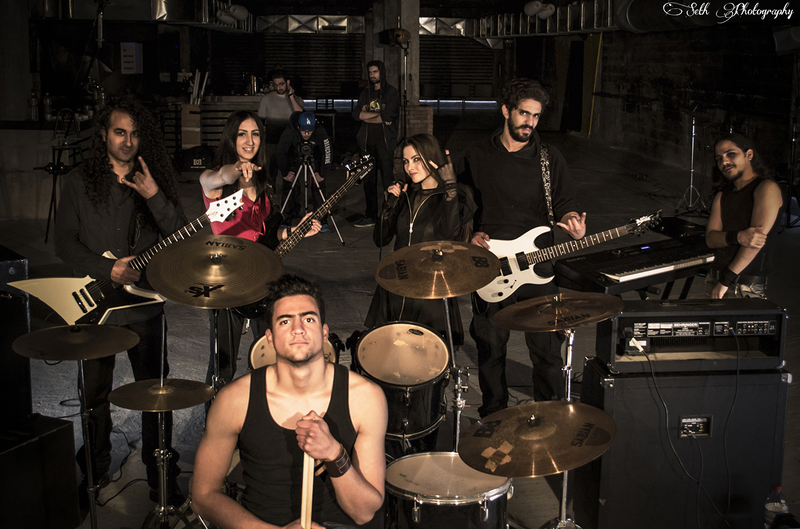 Their debut album Elusive Reflections has just been released and we at Metal Revolution are the first international media to review this album and introduce this hard-working talented sixtet from Tunisia. So here follows a short transcript of a conversation I recently had with their front-woman Jelena Dobric. 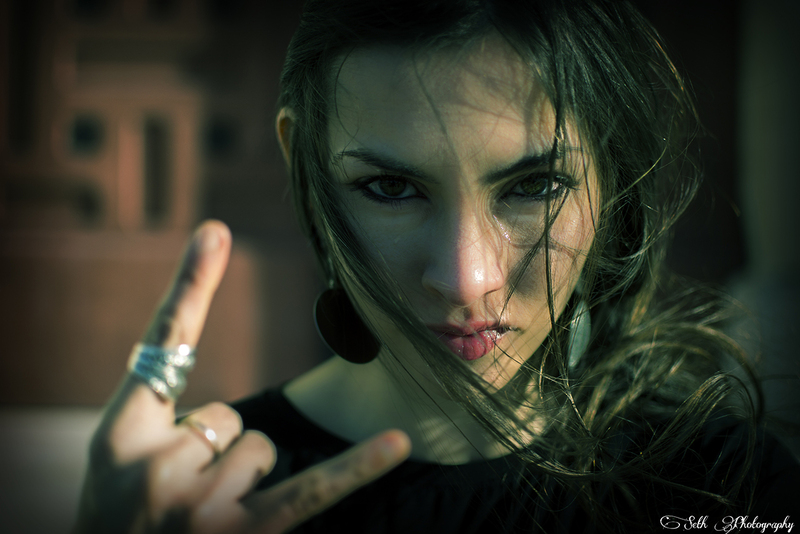 Metal Revolution: Dear Jelena, would you be kind and introduce your band to our readers who like myself wasn’t aware of your existence until lately. When and where was the band formed? Jelena Dobric: Dear Bato, first of all, thank you for taking the time to interview us (smiling). 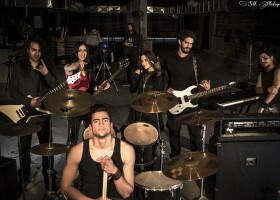 The band was formed in 2012, soon after I moved to Tunisia. It first started as a project between Melik Khelifa (lead guitar) and me (vocals), and we spent some time just experimenting and composing for fun. Yosri Ouada (guitar) and Youssef Aouadi (drums) joined soon afterwards, followed by Walid Bessadok (keyboard) and Nesrine Mahbouli (bass). MR: Is there any deeper meaning behind the name ‘Persona’? Jelena: Actually, there is. It is based on psychological concept of Swiss psychiatrist Carl Jung, and it stands for personality that one displays in public, as opposed to inner self. According to Jung, Persona is kind of „mask“ that one wears in everyday life, which helps in interaction with other people and conceals one’s true thoughts and feelings. We chose it because it’s what we experience when we compose and perform on stage: each song must be given its particular identity and therefore we must go through different emotions and states of mind that sometimes don’t really represent how we feel in that particular moment. MR: You all live in Tunisia now, but how did you end up there? What brought you to this nice and exotic, but also unfriendly towards metal, country? Jelena: Well, all members are Tunisian except me, and I ended up here for personal reasons. Maybe I wouldn’t describe Tunisia as a country that’s unfriendly towards metal, but more as not the most convenient country to start and manage a metal band. Not because of lack of audience – there are many people who love and listen to metal, and who are eager to go to metal concerts – but because of lack of media support, the fact that there are no labels, recording studios nor music producers that specialize in rock/metal (same goes for music videos), lack of venues, and other things… Obstacles are everywhere and it requires a lot of persistence, perseverance and love for music in order not to give up. MR: Speaking of Tunisia and metal there, is there a scene? Do you know any other bands from Tunisia that you would recommend to us? Jelena: There definitely is a metal scene, but it needs to grow and develop more. As I said before, we don’t have the most motivating conditions here, but I hope that will change. 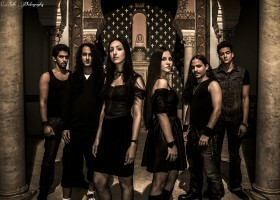 As for the bands, I would definitely recommend Myrath, if you haven’t heard them yet. They play progressive/power metal with oriental influences and they’ve just released a music video for the song called “Believer” from their new album. 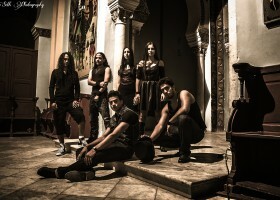 Besides them, there are two new promising bands that are currently working on their debut albums, Hemlyn (progressive/fusion metal band, where Melik is also a member) and Cartagena (symphonic rock with oriental influences). 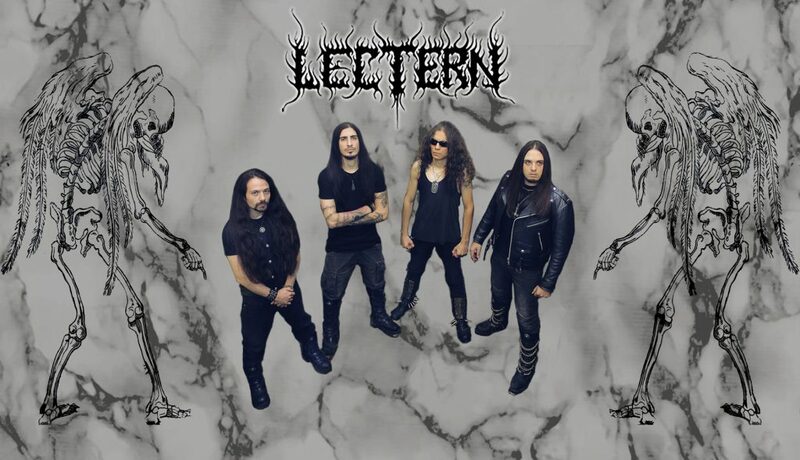 I’d also like to mention Nawather (oriental metal, just released their debut album), Lost Insen (progressive metal, currently working on their second album), Ymyrgar (pagan folk metal), Dead Men Tell No Lies (metalcore), Devil Empire (black metal). MR: Nice, thank you. Now, please introduce your latest offering Elusive Reflections to our readers who were yet not fortunate to listen to it. Jelena: Elusive Reflections has 10 songs, all describing different moods, emotions and states of mind. It is not conceptual, songs sometimes have similar topics, but they are all quite different musically. I think it’s best to leave it to listeners to form their own impression, because everything about music is always very subjective and relative. MR: Elusive Reflections has been well received here at Metal Revolution. Have you got any other feed-back from a wider audience and metal media? Jelena: I’m so glad to hear that and thank you for the great review, it’s the first one (smiling)! We just sent out many e-mails and still waiting for more reviews and feedbacks from webzines, but three songs we put on YouTube are getting quite positive reactions and we’re very happy about that. MR: What was your main inspiration while recording this particular album, and in general, what inspires you when writing lyrics? Jelena: What inspired me in particularly while recording was the fact that we were finally going to hear the songs with all their elements, well produced and finalized. Sometimes I add and change things (especially backing vocals) while recording, so it was also interesting to compare differences between the final and demo version of a certain song. The inspiration for lyrics are usually situations that trigger particular emotional process, that then I try to describe and express through words and vocal melodies. Sometimes I just associate music with certain mood or emotions, and then create a story around it. MR: What is your favourite track off the new album and why? Jelena: That’s a difficult question! (Laughng) But since I have to choose, I’ll say “Persona”. The lyrics are personal and describe an emotional state I was going through during certain period of my life, and the music somehow perfectly complements them. I also love both guitar and keyboard solo in this song. MR: How would you describe your sound? I can hear some power, industrial and gothic elements. Do you see it also that way, and these different genre mix, are they done deliberately or just the way it turned out…? 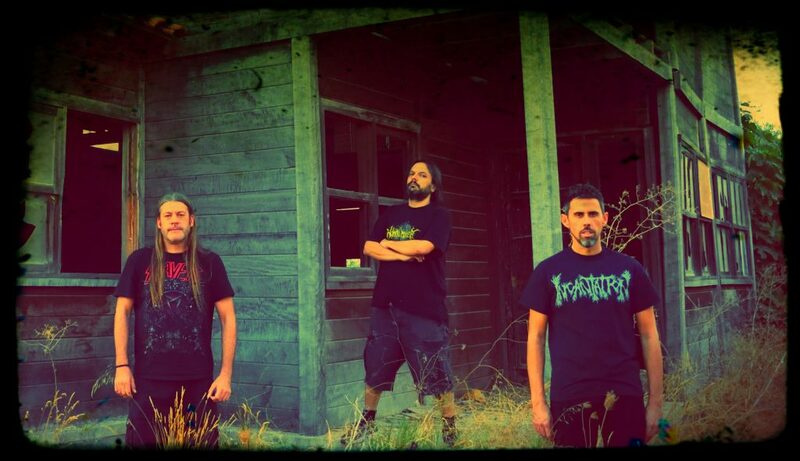 Jelena: When we started composing, it was definitely meant to be something heavy (we all like and listen to various types of metal, besides other genres we like…). We’ve just let our personal expression and influences mix, without a prior decision how we exactly wanted our music to sound. That’s why there are such different elements in it, and therefore the category “alternative metal”. MR: You’ve also recorded a video for a song named “Blinded” in order to promote your new opus. Where and when was this video recorded and who’s the main man behind it? Jelena: It was filmed in Tunisia, in the club “The Basement”, in March 2015. It took some time until we found the right team to work with and we engaged many friends and people we know in its making. The initial idea (directing and scenario) is actually ours (band’s), but the realization wouldn’t be possible without the expertise of everyone who participated. I would like to mention the crew of production agency Zoopolis and Malek Ben Arbia from Myrath – they’ve done filming, editing and effects. MR: Elusive Reflections is a self-released, but have you contacted any label yet? Jelena: We have contacted a certain number of labels, but after weighing all pros and cons, we decided to release this first album independently and see how it goes. MR: How often do you perform live and is there any chance that your fans in your native Serbia or even here in Scandinavia (Denmark) can see you live on stage? Jelena: We certainly hope so (laughing)! The plan is to try to organize as many concerts as we can after the album release, in Tunisia and abroad as well. We’re already negotiating with some festival organizers in Serbia, and we hope to reach some other European countries too. MR: Thanks for your time Jelena. Got any final message for your fans and maybe even more so to the future fans? What should they look forward to for the rest of 2016 and beyond? Jelena: Expect new music videos, concerts, new merch, meet & greet with the band and many other things. Thank you all for the amazing support, none of this would be possible without you. And thank you, Bato, for the great interview (smiling)! Until next time!